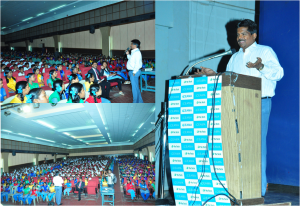 The awareness event is part of the sensitisation program to impart basic knowledge to the dealers associated with electrical and electronics instruments about e-waste, ever increasing ecological and environmental concerns as a result of wrong methods of disposal mechanisms being practiced for such waste. The programme elucidated on the discrete steps of recycling and correct disposal of e-waste at different levels and the broad responsibilities of associated dealers. 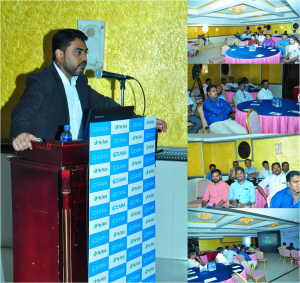 The event saw attendance of around 40 dealers in the city of Pudducherry. 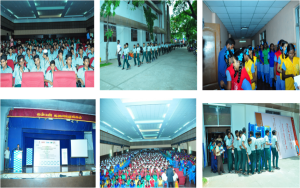 This awareness event is a part of the umbrella project of ‘Digital India’ campaign launched by Ministry of Electronics and Information Technology (MeitY) under Government of India to aware citizens and in most importantly students who would be the trailblazers to make apt changes in society in the coming days. The awareness programme aims to teach students, parents and teachers about the ill-effects of unsafe and unorganised disposal of e-Waste on the ecological surrounding and consequently on the environment on the broader horizon.